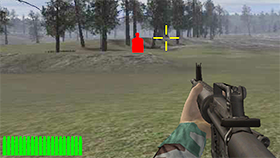 Army Force Combat is a shooter game and you will be in the interesting combat between two armies. It is developed in the April 2018 by Adolux Games - a famous 3D games provider. 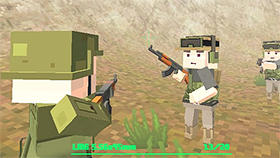 Before playing, you have the right to choose the army you want to fight for. When you join in the battle, you may have to fight against many players around the world. Besides, it should be careful when you choose the weapons. There are many of them you can select such as machine guns, submachine ones, or even shotguns if you like to close quarters. 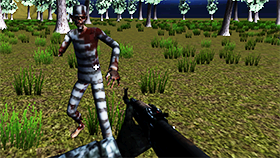 Your main task is to kills as many enemies as possible and proves your worth to your army. Hence, you will be the elite soldier if you can get a win. That game allows up to 10 players in a room, thus you can play with your friends. 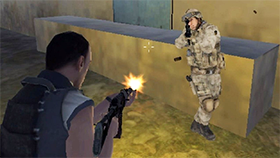 There are three modes: Team deathmatch, deathmatch, or control points. It provides an advanced system of weapons. 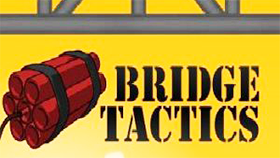 You can play army force combat unblocked game on Freegames66.com without any fees. With this unblocked version, you can play anywhere at any time as long as you have an internet connection. Now, let’s join the game and fight against various powerful opponents. GO!